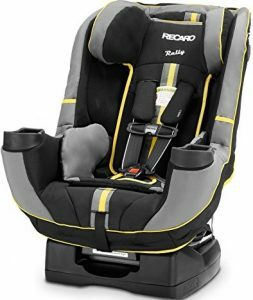 Recaro Performance Rally and Performance Racer are two choices that may come to your mind if you are looking for premium convertible car seat for your kid. As two premium convertible car seats of Recaro, you can find there are similarities between those two models. There’s also difference between them as different model. What is their similarities and differences? We need to know that before We decide which of them is the one that We should choose. Let’s talk about those similarities and differences together on this article. As two premium car seats introduced by Recaro, We can find several similar specs and features between Recaro Performance Rally and Performance Racer. We can find similar specs and features of those two convertible car seats on the table below. After looking at the table above, We can talk more about the similarities of Recaro Performance Rally and Performance Racer. Let’s talk about that together. 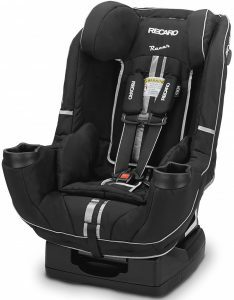 Recaro Performance Rally and Performance Racer come as 2-in-1 convertible car seat. They can be used in rear-facing and forward-facing mode. It can be used as rear-facing infant car seat for 5-40 lbs infant, then converted into forward-facing car seat for 20-65 lbs toddler. Both of Recaro Performance Rally and Performance Racer come with high impact energy absorbing seat. The high impact energy absorbing seat can dissipate the energy from the collision. The two car seats are also completed with full body Side Impact Protection and integrated anti-rebound protection to provide total protection for your child. We can find cloud comfort memory foam installed on both of Recaro Performance Rally and Performance Racer. Cloud memory foam make the child more comfortable sitting inside the car seat. Both of those two car seats also come with temperature balancing fabrics that make the child comfortable sitting on the car seat in any weather condition. Hero harness system is installed on both of Recaro Performance Rally and Performance Racer. It keeps the shoulder pads to fit the neck, head and shoulder appropriately while also preventing harness twisting and ensuring proper chest clip positioning. Recaro Performance Rally and Performance Racer come with Built-in LATCH System. It’s designed with a push-button latch system. The built-in Latch system help you to install the car seat properly using universal top tether system as added anchor. You can also find recline system that can be adjusted to custom fit the back seat of the vehicle. To make the installation easier in its forward-facing mode, both of Performance Rally and Performance Racer are completed with TrueLock belt lock-off feature. You can find two cup holders on the armrest of Recaro Performance Rally and Performance Racer. With the two cup holders, your child can take their favorite drinks easier when They need it during the longer trip. Besides those similarities, there are also differences between Recaro Performance Rally and Performance Racer. Before We talk more about the differences of those two Recaro convertible car seat, Let’s take a look at the different specs and features on the table below. After We know the different specs and features of Recaro Performance Rally and Performance Racer, Let’s talk more about those differences. Recaro Performance Rally is completed with QuickFlip Recline Foot feature. QuickFlip Recline Foot is the feature that give you more recline positions to improve the comfort of this convertible car seat in combination with rear-facing recline. You can only find QuickFlip Recline Foot feature in Recaro Performance Rally. Recaro Performance Rally is positioned as the higher model than Recaro Performance Racer. As the higher model, We can commonly find Recaro Performance Rally is offered at the higher price than Recaro Performance Racer. It’s recommended to check the price of those two convertible car seats before we can find their latest price difference since their price often change from time to time. Share the post "Recaro Performance Rally vs Performance Racer Similarities & Differences"